I find it infinitely interesting that films as short as a minute (and some even shorter than that) can tell a complete story, while also making sure to have depth of character and the audience’s emotional investment in what happens to those characters. 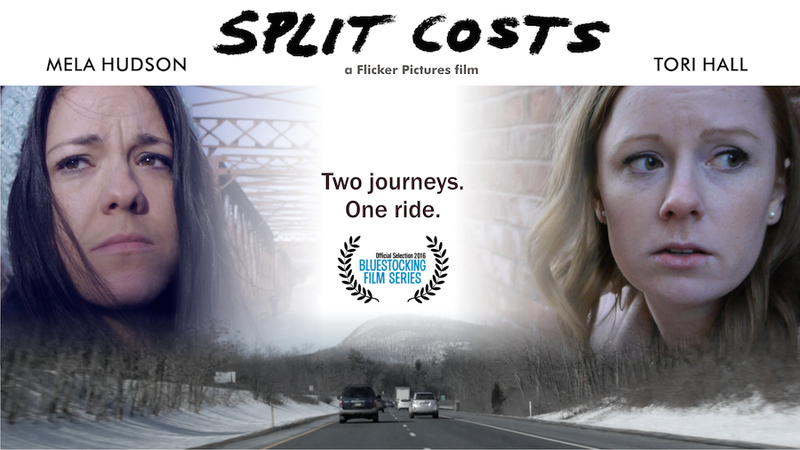 I recently found myself in a fascinating situation in regards to the newest short film from Flicker Pictures, by Jeffrey “J.B” Palmer, Split Costs. Jeff and I are friends, and when he began filming Split Costs he sent along the script for me to read. It was thrilling! I’ve never had the opportunity to read a script before the film was finished, and thanks to Jeff, I gained some insight into the true inner workings of making a film. When Jeff and the cast had put the finishing touches on the film, he sent me a copy. I watched it twice immediately. The first time I saw it was as a lover of all things film. The second time was to make sure I really paid attention and caught everything. After seeing it both times my mind was racing. I had so many questions! I did the only thing that made sense to me; I emailed Jeff and asked him everything that had come to mind. The first of my questions was about how long he had planned to write this particular story. Jeff told me that back in 2005 or so, while he was living in California, he ran the idea by a filmmaker friend as something to possibly work on together. They never got around to writing the actual screenplay, but they did manage to get in a road trip out along the coast to find inspiration. That’s when the seed was planted. Then there was the winter of 2015 in the Boston area, aka Snowmageddon. That feeling of “to heck with winter” got him thinking about a road trip in the bleak of winter, around February, when the darkness and cold really gets to you. Then the characters started to take shape and he finished a draft in the spring. 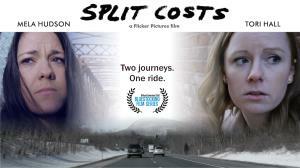 After reaching their fundraising campaign goal with GoFundMe.com, they ended up shooting the film a year later, in 2016, during the warmest winter on record, so it was difficult to find that same “bleak of winter” feeling he was going for. While there may have been problems shooting that “bleak of winter” feeling, there aren’t any problems obtaining it in the final film. Sure, there weren’t mountains of snow everywhere, but with no leaves on the trees, and the sun still at a low angle in the sky, and the appropriate winter attire dressing the characters throughout, the feeling of it being cold and hopeless makes it through easily when watching the film. I’m always interested in the ways in which filmmakers go about achieving some of the shots and effects that are included in their films. Films with more of a budget often throw in CGI or the like to get whatever effect they’re going for. With Split Costs Jeff had to get creative. In one scene the glovebox pops open on its own. I asked Jeff how they achieved getting it to pop open on demand. Here is his reply, “I did some tests ahead of time and found that by wedging a small piece of paper in the latch and closing it just enough I was able to make it pop open, but not on command. So we’d slightly close it and drive for a while trying to hit potholes or bumps in the road so it would open. Sure enough it wouldn’t. Then I would stop the camera and BAM - it opened. We did this for a few miles before it finally popped open at the right time and Tori (who plays Judy) reacted to it and we got the shot. Nothing more than trial and error.” Knowing that, it makes me appreciate that scene all the more! But knowing more about the behind the scenes efforts isn’t a necessity to truly appreciate the magic of this short film. The tagline for the film is “Two journeys. One ride,” and what a ride it is! Over the course of the 24-minute run-time there are a full range of emotions that both the characters and the audience go through. Happiness, love, despair, sadness, grief, anger, relief, shock, acceptance and more are delivered artfully from the characters on screen, to the audience off screen. Mela Hudson as Emma, and Tori Hall as Judy do an amazing job of creating characters you truly care about by the end of the film. Mela establishes early on that Emma has had a hard life and seems cold-hearted at first, only to have her emotional walls crumble by the end of the film. In contrast, Tori Hall plays Judy as the more innocent one, the one who seems to have had it fairly easy in life, only to find out that she’s got a darker and harder side when pushed the wrong way. The girls played their parts so beautifully that it’s hard to believe that they met just before filming began. They have the on screen chemistry of old friends, which adds a lot of believability to the film as a whole, and adds another level of caring about what happens to the characters. The cast of four and crew of one have done with Split Costs what some in the filmmaking business can’t seem to pull off no matter how many people and how much money they’ve got backing them. The result is a beautifully crafted, deeply touching story that in the end will have you asking “but what happens to them now?” while smiling at the way everything has unfolded. So if you find yourself with the chance, plan on going on a 24 minute road trip with Split Costs. You’ll be glad you did! 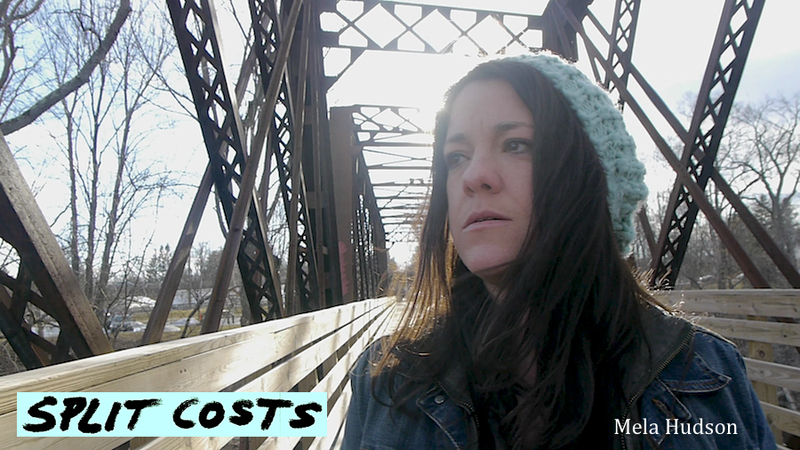 Split Costs is not rated, was written, directed, and much more by Jeffery “J.B.” Palmer and stars Mela Hudson, Tori Hall, Jane Harte and Lauren Kirby. It is currently entered in 32 festivals, with the possibility of 20 more by the end of the year.